China is different. China cannot be pushed around by the American military, at least, not without intolerable cost. Could this be the end of the petrodollar scam? As some of you may already know, there is an epidemic of poor styling and grooming among Asian men [especially the East Asian variety]. This self inflicted problem is a major factor in the dating disparity that Asian men suffer when they live in western nations. I wrote about this problem a while back along with solutions. It’s a tough pill to swallow for guys. Luckily for them, Natalie Ng and someone named Shadowsweep? wrote about this subject in greater detail and with more eloquence than I could. 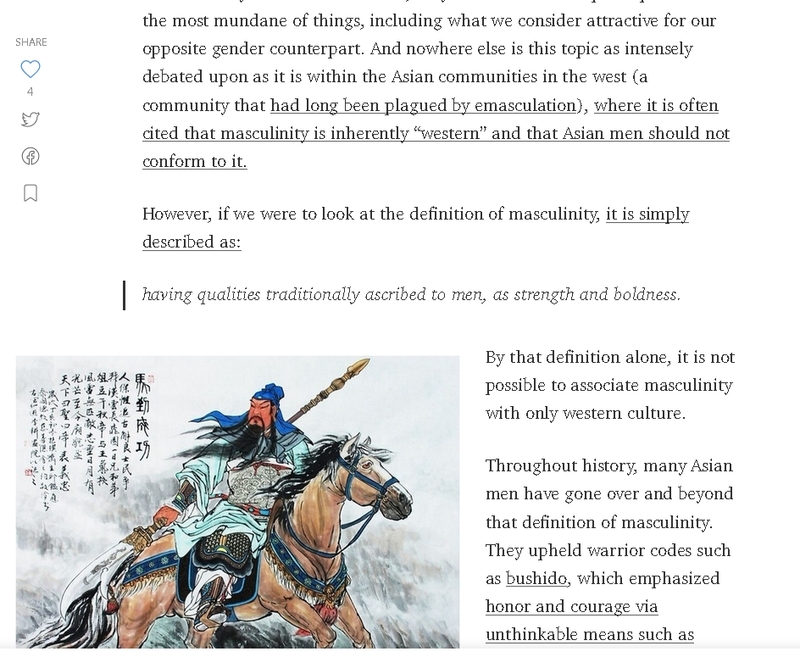 She explores more of the history of Asian masculinity and dispels some of the western myths surrounding it. She later gives the “why” Asian men should distance themselves from that style and towards something more conducive for success. I highly recommend people read it. It was insightful and persuasive. 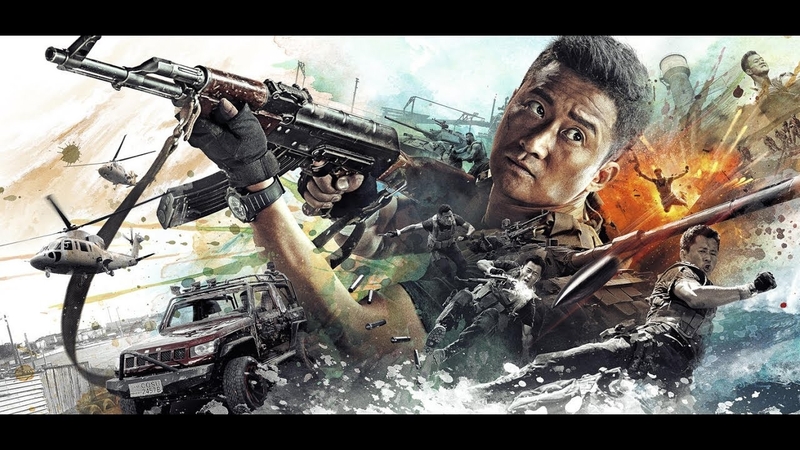 Wolf Warrior 2 is a Chinese action film starring martial arts star, Wu Jing. The film hearkens back to a simpler time: the 80’s, when villains were simple-minded and plots didn’t contort your mind into a pretzel like Nolan’s Inception. It was also an era when action relied more on skill instead of green screen gimmicks. 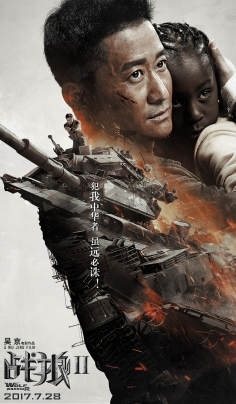 Aside from being enjoyable, the film may be a watershed moment for Chinese soft power and escaping the yoke of western cultural imperialism [also known as white worship and Asian self hate]. ● the “white savior” is replaced with attractive and charismatic elite Chinese PLA [People’s Liberation Army] soldier. He saves the day. ● The Asian damsel in distress is replaced by some white passing hapa girl named Celina Jade. I’ll return to this in a later piece. This film is one of the top performing films in Chinese cinematic history. The implications are enormous. ● Investors will wish to replicate the success here. Expect more films following the same formula: an Asian, not white, hero. ● A likely shift in the mindset of Chinese and Asian audiences. They already showed their will increasingly on the geopolitical. Now, it is time to spread it culturally. I find the situation to be amusing. Whatever whining Anglo-American hypocrites come up with will sound absolutely ridiculous. ● First, they can no longer push their lie about “what people want”. The market has spoken and they overwhelmingly favor Chinese stars over worthless joint ventures that white worship. ● Second, any attacks on the film being jingoist xenophobic propaganda will expose their own hypocrisy. ● Three, the signal to investors is global. Chinese investors will not be alone trying to capture this market. 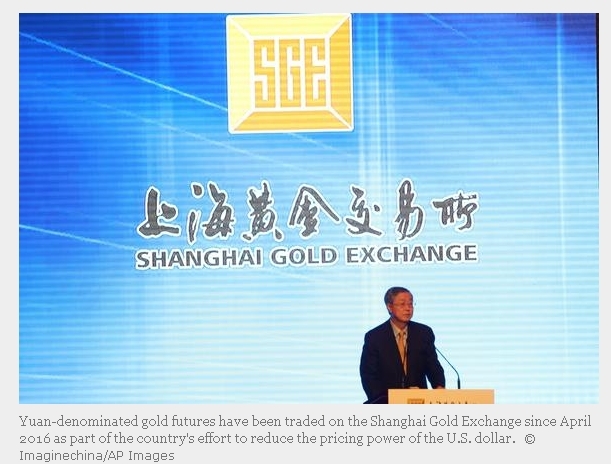 Other media companies that want Chinese yuan will likely follow similar strategies. This is a watershed moment. 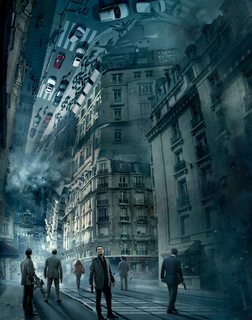 The world just saw a 30 million dollar budget film gross over 600 million dollars in sales. Now, everyone will to copy this. Expect more Chinese heroes saving the world. I hope Chinese soft power planners understand that the world is sick of seeing white imperialists telling their victims how “wonderful” they really are. They may not be enamored with “China saves the world” type films yet but it is a welcomed change. Go watch it if you haven’t. Vote with your wallets! Super talented magician, Shin Lim, successfully fooled the tough judges the first time he appeared on the show. What what happens this time. ps - fooling the judges = winning on that tv show. The goal is to perform a magic trick that can fool even the judges on the show, who are professional magicians.